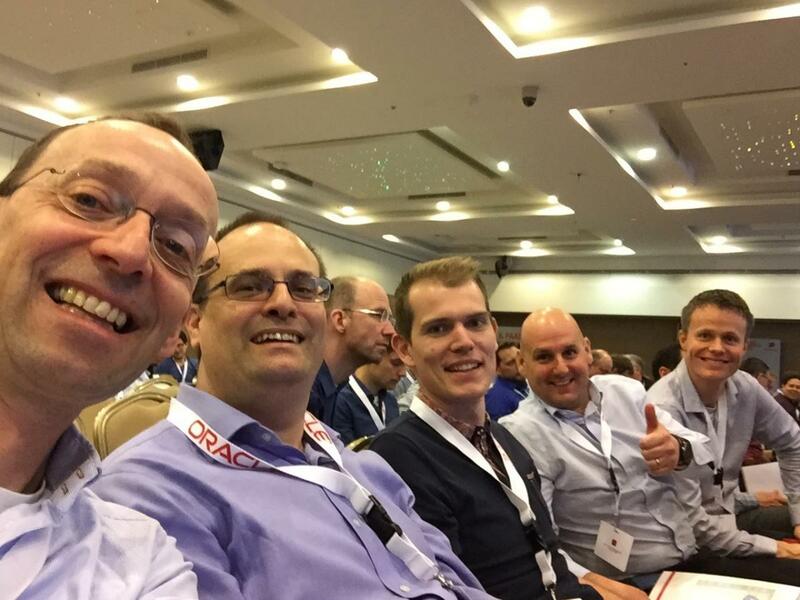 The week of March 27th-30th the Capgemini Oracle PaaS team from the UK and The Netherlands teamed up at the Oracle PaaS Community Forum in Split. At this yearly held event, excellently organised by Jürgen Kress, around 200 Oracle technology specialists from around the world and the Oracle PaaS product management team come together to present the latest functionalities in the Oracle PaaS cloud, discuss themes and play with all the new material. A couple of themes were popular during this event, API Management/Microservices, Chatbots, Adaptive Case Management and the book written by Phil Wilkins around the Oracle Integration Cloud Services (ICS) offering. And we as Capgemini are very proud to have won two awards around API Management and Chatbots. In this blog we highlight the essentials that came out from these topics from discussions, presentations and experiences. As cloud adoption continues to rise so does the need to make information available consistently across multiple channels. With information becoming more and more federated, the need to access key information assets -usually locked in backend systems, becomes more critical than ever before. Without such access, chances of succeeding in cloud and digital initiatives are slim and therefore organisations are forced into looking at ways to provide access to information in a rapid, consistent and secure way. With this in mind, Oracle has announced the launch of their 3rd generation API management solution: API Platform Cloud Service. This new solution, build from the ground up (and NOT to be confused with Oracle’s previous offering), is a fully hybrid API management solution that is allowing customers to implement APIs anywhere (cloud and on-premises) therefore delivering on the need to access to key information assets regardless of where they are. Oracle’s solution leverages the cloud as the means to centrally manage all APIs and API gateways (the engines that runs the APIs). The platform also provides a single point of API policy enforcement, API monitoring/management, API analytics and API discovery and subscription -via a fully customisable API developer portal. The “phone-home” feature of the gateways is also worth highlighting. This feature allows gateways themselves to call the management service to retrieve instructions on what APIs to implement and which policies to apply. Because gateways can be logically grouped, it also means that the process of deploying/undeploying APIs is very simple and painless. As more gateways are implemented either in support of cloud adoption, Microservices architecture and/or on-premise integration, this feature is a key differentiator. In addition to the aforementioned, with the recent acquisition of APIary –a leading platform for API documentation and API-first design, Oracle is committed to deliver the best development experience for API implementation across the full lifecycle (design, build, deploy, run). Although there is no official launch date for the API Platform Cloud Service yet, it is expected that the product will be released in the next 4 to 8 weeks. Customers want to have simpler means to interact with businesses and get faster response to a question or complaint. This behaviour is similar across all customer focused markets, such as Retail and Finance, where the loyalty of the customer depends on the quality of interaction with the business. Interaction with the customer (here the civilian) is also crucial in the Public domain, where trust in the authorities is determined by the speed and precision of the provided feedback. Chatbots offer a new automated means for conversation with the customer through a single channel such as Facebook Messenger. The complexity of working with chatbots is the ability to understand the conversation with the customer. Every sentence typed in by the customer has a specific meaning, also known as an intent. For instance there are many ways to say ‘My bicycle is stolen’, ‘My bike is gone’, ‘They nicked my iron horse’, etc. Oracle is about to enter the chatbot market with a brand new cloud product, named Intelligent Bot Services. This product leverages two main functionalities, the Natural Language Processing (NLP) and Integration capabilities. The NLP capabilities are based upon existing Open Source libraries, such as Stanford NLP and Apache OpenNLP, to translate the parts of a sentence into an intent. Oracle has strong capabilities in the Integration with products such as the ICS. These integration capabilities allow for enriching the conversation with information coming from back-end systems (on-premise or cloud based). Léon presented at the PaaS Community forum about ‘Understanding conversations within chatbots’. The new Oracle Intelligent Bot offering will arrive around the summer timeframe, but we already have access to preview material. The Oracle Process Cloud Services (PCS) has been around now for almost three years. This product is based upon years of experience with the on-premise product Oracle BPM. The current release of PCS contains process capabilities based upon the Business Process Modelling Notation 2.0 (BPMN 2.0) standard, which supports the more predictable type of processes. Case Management delivers capabilities aimed at more flexibility in executing of workflows. Case Management is aimed at reaching a conclusion rather then following a set of prescribed steps. See also the book Léon Smiers wrote on Case Management. Oracle is entering functionalities now in the PCS product to support Case Management features. Oracle learned from experiences from the on-premise case management functionality. The on-premise product has an excellent event based back-end guiding the lifecycle of the case execution, however lacked proper design capabilities. The design view of the PCS ACM product helps in a simplified way to design of the case in a browser based solution. In tests we performed lately I tried using this design view in a workshop to visualise the case lifecycle. The design canvas helped me showing to the client clearly the case end-to-end overview with all tasks attached to case phases. Timing of this new product feature is aimed around the Oracle Open World timeframe, around October this year. As the cloud has become more pervasive, and the ability for organisations to acquire software solutions grows quickly, the need to meet growing demand to stitch these solutions together has lead to the development of Cloud-first integration platforms. These new platforms abstract away a lot of the complexities that traditional middleware used on premises exposed. This has been necessary to help accelerate the speed of integration. The ability to hide these detailed controls has also come from the fact we can and exploit the many lessons learnt through the more traditional approaches of products such as SOA Suite. The Oracle Integration Cloud Service (ICS) is Oracle’s entry into this cloud first market and is a real iPaaS, which is a term explained by Luis Weir in his blog post. Whilst Oracle may have been late joiner in this market segment, it has utilised this time to learn from the early innovators. Now it comes from a position of strength having observed other startups and what has worked for them. When combined with the ability to leverage the foundations stones for products, such as SOA Suite, OSB, MFT and WebLogic, the platform is being developed at a tremendous rate. ICS, like the new API Platform has recognised that there is a need for hybrid capabilities as a result of systems remaining on premises and the growth in using multiple clouds. To this end ICS supports both a cloud integration platform as well as agents for connectivity and execution. This model means that ICS can address security and data residency issues with ease. Phil Wilkins along with his Oracle Ace colleague Robert van Mölken recognized early on that although products will develop more quickly, there is still the need provide guidance to maximising the use of a product. To this end they published a book through Packt Publishing about the product. Recognizing the rate of change could be a challenge, the book concentrates on explaining the concepts as well as guiding users through the use of ICS. This has been supported by a website where new features, updates and strategies for using ICS have been written about. The strong relationship with the Oracle product management team means that whilst independent Robert & Phil have had great insight into the product, vision and had the opportunity to offer recommendations if features and enhancements. Oracle IoT product has great capabilities to gather, transfer and store data from (hardware) devices like beacons, vehicles, machines etc. Oracle’s IoT Cloud Service can make sense of the data with the dashboard capability in combination with their Big Data Cloud Service. The combined services can be used to create a solution for predictive analysis to anticipate and resolve issues before they occur! Oracle showed a demo of monitoring peoples heart rate based on location. This demo alerted hotel staff in case of heart attacks or drowning of their guest to allow a quick emergency response. Please see more information on some of the other use cases in this blog post. There were also prices to win during the PaaS Community Event. Oracle set challenges and provided beacons to people and location that you needed to track using a mobile app, a bit like a “digital treasure hunt”. Great fun and most of us completed the challenge and have been awarded with sunglasses and an Oracle speaker to look cool the rest of our lives! The “digital treasure hunt” showcased some of the capabilities of IoT. We’re excited to spread the news we won two of the Annual Community Partner Awards. These awards recognize initiatives by Oracle-partners who has proven cutting edge projects, contribution to the community and their participation in the partner advisory councils. Léon Smiers received an award for Outstanding Mobile Contribution 2017, as a result of our efforts in the field of chatbots. Capgemini is working with chatbots with multiple clients across Europe and is expanding really fast. Luis Weir received the award for Outstanding API Contribution 2017. Luis Weir, who wrote a book on implementing API Management, has been working with Oracle technology and APIs for many years now and Capgemini is currently working on an API Platform Cloud Service implementation. We are honored to receive these awards, which acknowledges our technological innovation and hard work of the entire Capgemini team!